There are 2 artists called James Bernard. 1)James Bernard has a long and critically well received career in music, he works for Propellerhead Software (makers of Reason) as in-house artist relations and all round Reason expert, he is the goto person for a lot of the artist's when they get stuck, even at 2am. Just ask A Guy Called Gerald or DJ Pierre. He creates Re-Fills for Reason under his own name, and music for them to showcase what is possible with the software, as he travels around the world performing, giving demos and training seminars on Propellerhead products. 1)James Bernard has a long and critically well received career in music, he works for Propellerhead Software (makers of Reason) as in-house artist relations and all round Reason expert, he is the goto person for a lot of the artist's when they get stuck, even at 2am. Just ask A Guy Called Gerald or DJ Pierre. He creates Re-Fills for Reason under his own name, and music for them to showcase what is possible with the software, as he travels around the world performing, giving demos and training seminars on Propellerhead products. Check out his Reason Refills at the propellerheads. James has released many records since 1993. As Influx on Sapho records, a sister label of UK label Rising High. His first ambient album, Atmospherics was released in 1994 on well respected label Rising High, now on Three Sixty Records. He also releases on Isophlux Records (as Influx and Protocol), Analog Records (as Influx), BML Records (as Influx) and now on Three Sixty Records. In 1997 he teamed up with DJ Ed Weingarten (aka Displacer) and formed the act Expansion Union, releasing music on Wax Trax!/TVT records. The song "Playing with Lightning" from the album "World Wide Funk" was featured in the hit moive "Blade" and used on the multi gold selling soundtrack CD from the film. Please see discogs.com for his complete discography. 2) James Bernard (20 September 1925 - 12 July 2001) was a British film composer. He is remembered almost exclusively for the music he composed for the Hammer horror films of the 1950s, '60s and '70s. Undoubtedly his most famous was Horror of Dracula in 1958, for which he composed a motif based on the sound Dra-cu-laaaaa. Other memorable Hammer scores included The Curse of Frankenstein (1957), Kiss of the Vampire (1962), The Plague of the Zombies (1966) and The Devil Rides Out (1968). While he was a pupil at Wellington College. Although the future actor, Christopher Lee, had also attended the same school, Bernard never met him. 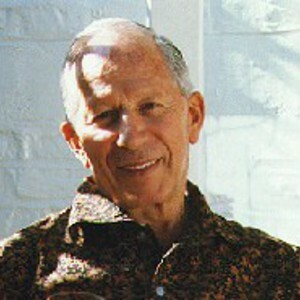 Lee would go on to star in a great many horror films for Hammer Studios, for which James Bernard would write the scores. He undertook national service in the RAF from 1943 to 1946. Benjamin Britten kept in touch with him during this period and encouraged him to learn the principles of composition. After being demobbed he went to the Royal College of Music, studying under Imogen Holst and Herbert Howells. He graduated in 1949. About this time he met the writer and critic Paul Dehn with whom he started a professional relationship but who also became his life partner. Paul Dehn asked James Bernard to collaborate with him on the original screen story for the Boulting Brothers film Seven Days To Noon, (1950). For this Paul Dehn and Jame Bernard shared the 1952 Academy Award for the Best Writing, Motion Picture Story. In 1950 Benjamin Britten approached him to copy out the vocal score of his new opera Billy Budd for his publishers Boosey & Hawkes. While doing this he stayed with Benjamin Britten at Aldeburgh. He went to the opening night with Benjamin Britten's housekeeper and the librettist E. M. Forster. In later years, he was called upon to write an original score for F.W. Murnau's classic silent horror Nosferatu (1922/1997) and Kevin Brownlow's documentary Universal Horror (1998). His music was distinct for its clashing harmonies, often created by doubling a motif a tone higher, as in his famous Dracula theme. His music was also frenzied and pacey at times, frequently making use of percussion such as timpani and snares. The Devil Rides Out and The Plague of the Zombies are good examples of this. However, he could also write lushly romantic melodies, such as appear in Frankenstein Created Woman, Taste the Blood of Dracula and Scars of Dracula. Bernard also co-wrote the screenplay for the 1950 film Seven Days to Noon, and won an Academy Award for best original screen story.